Whether anti-government protestors like it or not (they don't), the Thai government's vowed to go ahead with elections set for this coming Sunday, Feb. 2, while America watches the Superbowl. The go-ahead order by Yingluck Shinawatra's administration is likely to set the stage for further violence by the rebels, who would prefer her allegedly corrupt government to simply step down so they could put in place their own "people's council," sans elections. "We have to press ahead with the February 2nd election," Interior Minister Jarupong Ruangsuwa said. "A postponement would be futile and would only give independent organisations more time to target the government." The decision to continue with elections was made by Yingluck and her election commission members, who were previously in doubt that the elections would go ahead at all — and, in fact, all five of them went to the meeting to convince Yingluck that the date should be pushed back due to continuing instability. "We fear that there will be clashes on election day," election official Somchai Srisutthiyakorn said. "As election officials, it is our job to make sure elections are successful, but we also need to make sure the country is peaceful enough to hold the election. We don't want it to be bloody." Except it probably will be, because he major problem lies with the fact that Yingluck's party, Pheu Thai, will probably win again — something not likely to make the rebels happy. 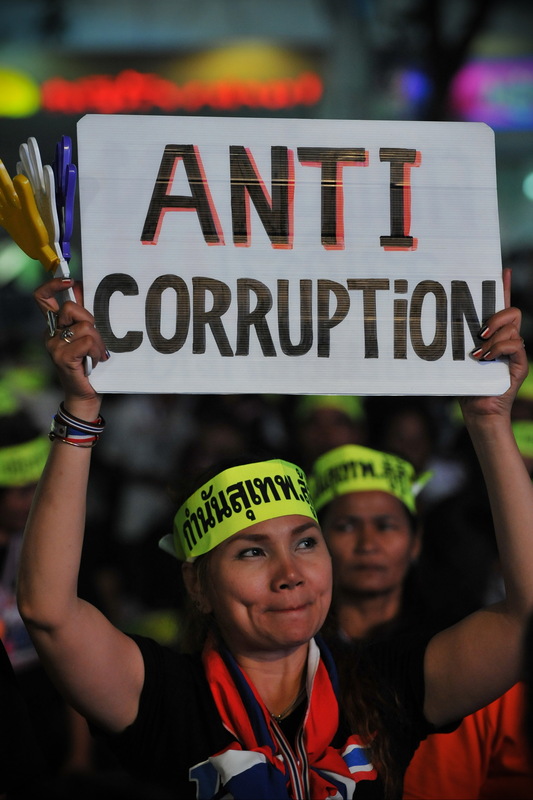 They say that the current government is controlled largely as a puppet state from afar by Yingluck's brother, ousted premier Thaksin Shinawatra. Should the elections continue, it's been predicted that not only will riots escalate, but that the government could be paralyzed for up to six months, because the results of the election might not yield enough seats — thanks to disruption from rebels that has prevented some candidates from registering. "The election result might not yield enough seats. It might take four to six months to convene parliament," said Somchai Srisutthiyakorn, an Election Commission official. Meanwhile, violence continues in the capital as a protest leader was shot in the head in Bangkok on Sunday and at least nine other protestors were injured.